Over the hills of Portugal and Spain, through blood soaked Albuera to the killing fields of Waterloo, this regiment of astonishing infantry marched with Wellington to defeat the forces of Bonaparte. The ‘re-created’ regiment now carry their colours, fight battles, and live in the manner of it forebears. 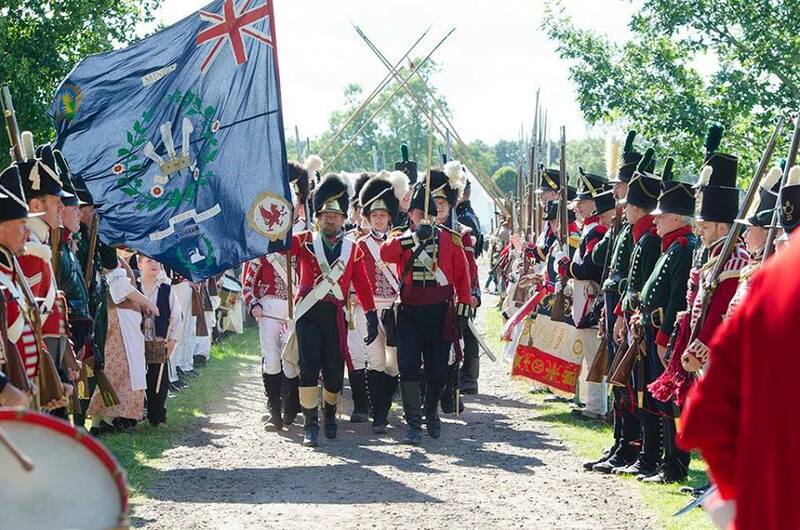 Our period camp is the centre of a well ordered military day, and – of course – a very convivial evening. We attend events large and small, both locally and overseas. 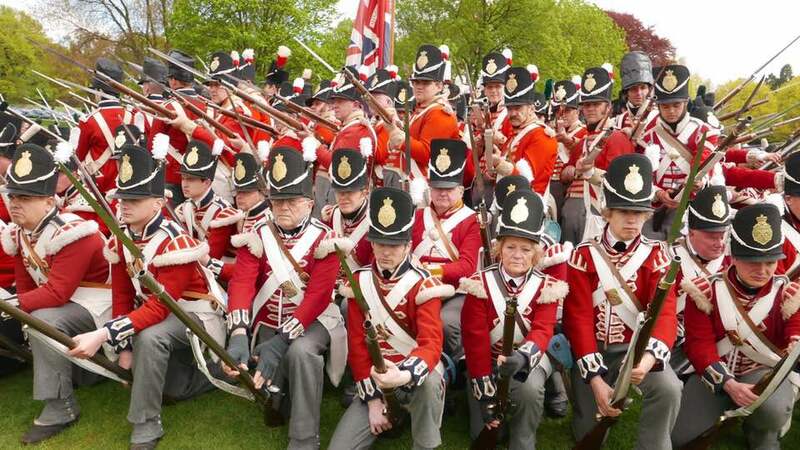 We are a group of Red-coat re-enactors based mainly along the Welch boarder and the West country. The group was first formed in 1995 by some like-minded individuals who wanted to recreate one of the finest Welsh infantry regiments that took part in defeating the ‘Corsican ogre’, as the French emperor Napoleon bonaparte was called. The 23rd mainly attend events in the UK, but can regularly be seen taking part in battle re-enactments in France, Belgium, The Netherlands, Portugal and Spain. 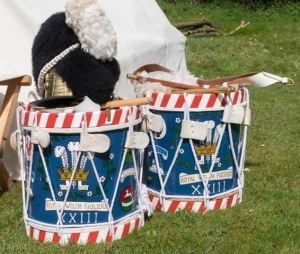 In our regiment we have roles for everyone and more than enough equipment to loan any new recruit. We’ll even let you try a couple of events with us, before we try and take any money from you. Although there is money involved, we do try to keep costs down. For example, it is still cheaper than golf. This is a enjoyable and sociable hobby. We can certainly find a role to suite you. Take the kings shilling and you can be part of ‘Just the thing’. As Wellington said of the regiment as they marched to victory at the Battle of Albuera. For more information about our group, events or joining us, click the button below or go to our Facebook page.